The rail partnership has been working with local artist Eamonn Murphy art.exvista.com to create pieces of art that reflect the communities around our stations. The art is the first stage in a project that will tell the stories of the communities served by our stations. 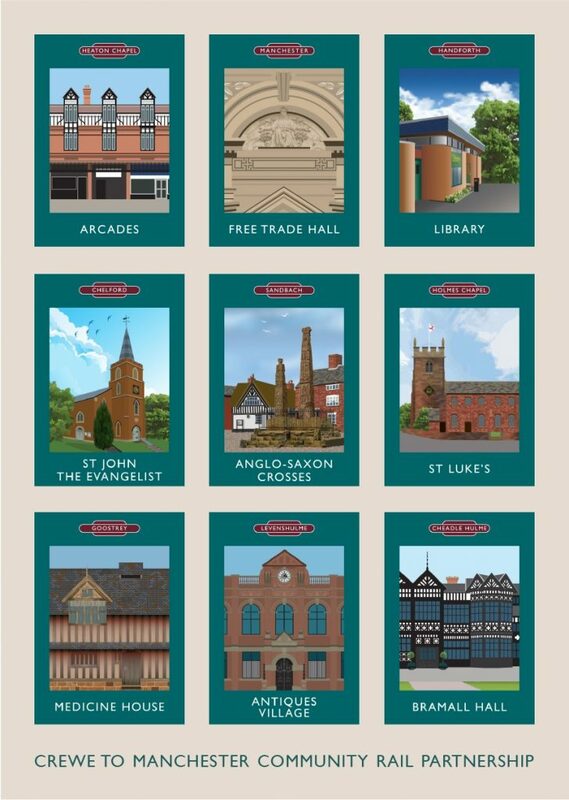 While railway stations and rail services are of key interest to the Community Rail movement we realise that our stations play a wider role in our communities, providing a gateway into those communities and giving local residents access to work, education and leisure. We would like to thank Northern Rail for their support in sponsoring this project.